Most of this article is based on “conscious parenting” techniques. The idea is to look inward for the answers to dealing with children and tantrums. If we as parents have a tantrum in response to a child (as in out of control spankings, yelling, or saying cruel things)- we are teaching our children that it’s okay to hit, yell, and say things we don’t mean. 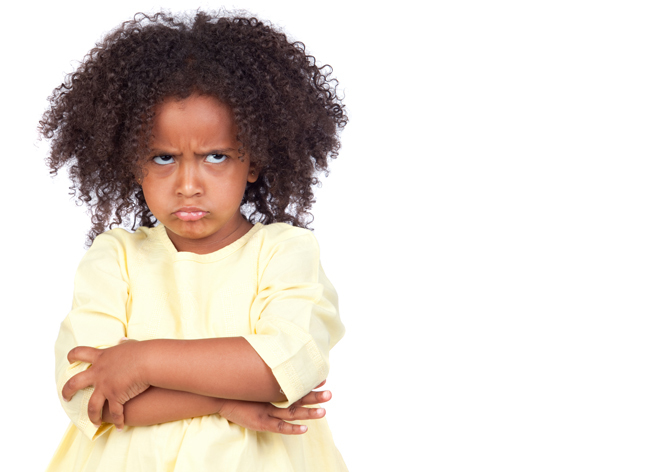 Here are some tips on how to prevent and stop temper tantrums (and they’re all from the inside out). Manage stress by taking the necessary steps toward peace – of mind, body, and soul. Whether this means getting a massage regularly, practicing meditation, or having a daily yoga routine- destressify! Regulate your own stress and it will be easier to handle the stress of dealing with a tantrum or the like . Strength and will-power is not something only some people are born with, it’s a choice. Make the choice to use your strength – stop and breathe before reacting and saying anything! Know when to ask for help from your loved ones. If you are not in a proper emotional state to deal with your child in a kind loving way, get some help from another adult and get yourself together before engaging. If there is no one around to help, sometimes just embracing your child with a big hug and telling him/her that it’s snuggle time (and take a nap together) can help. Breathe – Take your attention off your child and turn the spotlight on yourself. If your child is emotionally unstable, chances are… you may also need some work. Doing pranayama (breathing techniques) together can be a powerful tension reliever. Attention, meaning pay attention to your child with undivided focus (and a sparkle in your eyes). Many temper tantrums are a cry for attention (even if it’s negative attention). Even just watching your child silently (with a loving eye) as they are exploring or in play is a very powerful shaping tool ( and can prevent future tantrums). I am a big fan of Dr. Shefali Tsbary’s work on conscious parenting. She believes all tantrums come from an outcry for a connection with you. Establishing a true connection with your child can be the answer, if it’s love and attention that your child needs. Sometimes just acknowledging them and showing that your love is unconditional, can diffuse the situation. Namaste’ is a sanskrit word that means something to the effect of ” I bow to the divine spark (light) in me, that is also in you”. In other words, “We are one”. When you see your little one as another aspect of yourself it tends to diffuse tension between you. It’s also a reminder that this is not an attack against you. You can think of this similar to the “golden rule”, but takes it a step further. Instead of treat others the way you want to be treated, it states there is no separation between you and your child. I love this. I have been watching Oprah’s Lifeclass with Dr Shefali and it was life changing. I can’t wait to get her book so that I can start implementing what she is teaching. It’s so funny because when I had my daughter 3 years ago, I knew that I wanted to raise my daughter to be emotionally present. Now I have a book to help me . Thanks for this post!